ShanghART is the city’s leading gallery both by reputation and chronology. 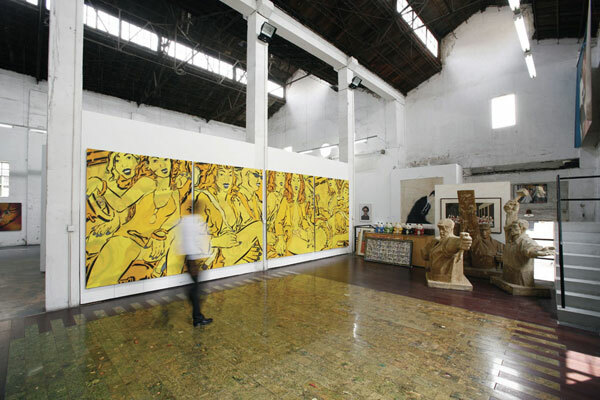 Director Lorenz Helbling got in first, selling work in Shanghai since 1996, and has helped build the careers of many of the city’s best artists. This is the place to see Zhou Tiehai, Ding Yi, Yang Fudong, Zhang Ding, Birdhead, Sun Xun and Xu Zhen, among others. ShanghART’s success is so total that it doesn’t need to build conversation — the fact that they’re showing an artist is itself a marker of success — which can make some of their choices seem remote.